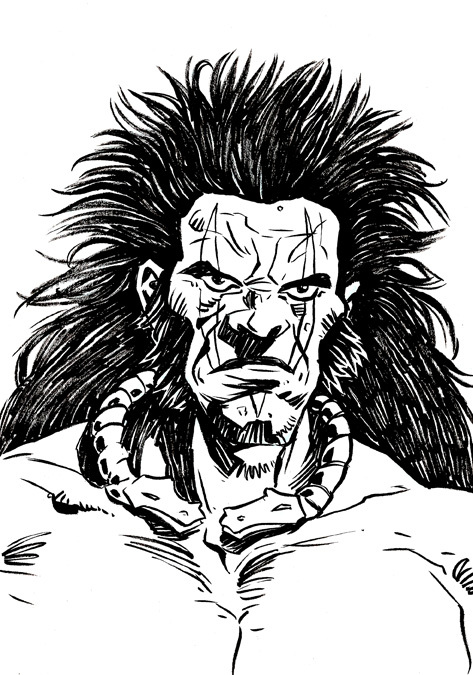 I was recently challenged by the ever affable Kev Levell to have a bash at drawing Slaine, and this was the first result (a quick sketch to determine how my Slaine was going to look). After sharing the B&W sketch on various sites - and being well chuffed with the positive reaction it has gotten - I've decided to have a go at a proper pin-up, with the eventual aim of firing it at Tharg himself. Worth a try I reckon - he can only say bugger off can't he? Stay tuned for updates. PS - yes, I have been watching Game of Thrones, and yes, those are Khal Drogo's tatoos. Couldn't resist! Nice lovely colours as always and very clearly your take on the character. It is a classic Slaine - you could imagine this style picking up where McMahon left off. Pity they have gone fully-painted with Slaine and they aren't going back (I suppose it goes down better in the European market). Still a great image of Slaine - he definitely looks like he punches people in the face most days of the week (and would be unhappy if he wasn't ; ) . Thanks dudes. Yep, McMahon drew the definitive Slaine for me - that's not to knock Fabry or Bisley, but 'Shoggey Beast', 'Sky Chariots' et al feature some of my favourite comic art ever. 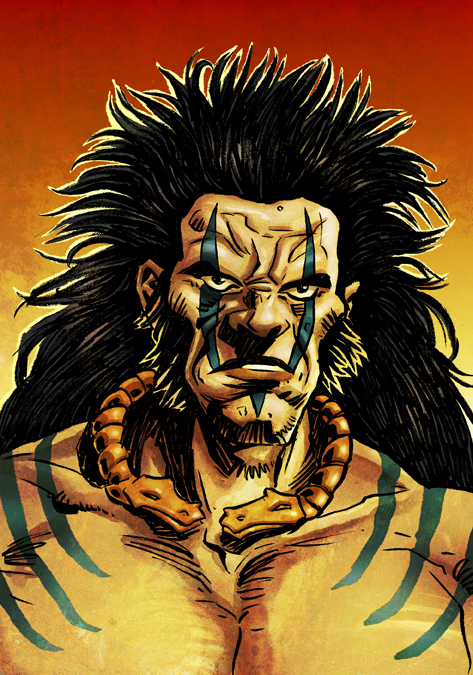 I always thought that, after McMahon, Slaine got too handsome, hence my broken-nosed bruiser!